A general principle regarded as roughly correct but not intended to be scientifically accurate. 1. Save one million dollars for retirement. How much will you and your spouse need to live on in retirement? That's the age-old question. In recent years, some people have seized on a million dollars as the magic number to strive for. It's a nice round figure and, after all, can't a millionaire afford an upscale lifestyle in retirement? But a million dollars doesn't go as far as it used to. Suppose you take an income of 4% of your savings annually—another rule of thumb for using retirement savings (see below). That's just $40,000 a year, and there will be even less if you dig into your nest egg to buy a winter "snowbird" home, for example, or take a few exotic vacations. And people are living longer these days, so you may need money to sustain you for 25 or 30 years, not 20 or less. Another option that can be used is to set aside an amount roughly equal to eight times your ending salary (or even higher). So, if you're pulling down $200,000 just before retirement, you should have $1.6 million (8 x $200,000) in your coffers. That may be a preferable goal—but even then, a 4% withdrawal will give you only $64,000 a year. 2. Replace 80% of your pre-retirement income. This rule of thumb has been amended to make some concessions for a higher cost of living. Previous estimates often were predicated on replacing 70% or 75% of your salary with savings from retirement plans at work and IRAs, investment earnings, Social Security benefits, and other sources. Again, this rule of thumb may work for some people, but not for everyone, and replacing 80% of a high salary could require very substantial savings. You want to have 80% of that $200,000 in income? That's $160,000 a year, and could require savings of $4 million or more. Moreover, the 80% rule ignores certain variables, such as health-care needs, lifestyle choices, and family obligations. It may be more helpful to go beyond rules of thumb to estimate what your expenses really may be in retirement and work backward to figure out how much you will have to accumulate and earn annually to meet your objectives. There are two problems here. First, there's no guarantee that saving 10% a year will give you what you need in retirement. The second is that it may be difficult to maintain that discipline, especially if you're raising a family during your peak earning years. If your saving lags during those years or if you can't start saving until later in life, the 10% rule is very likely to give you less than you need. 4. 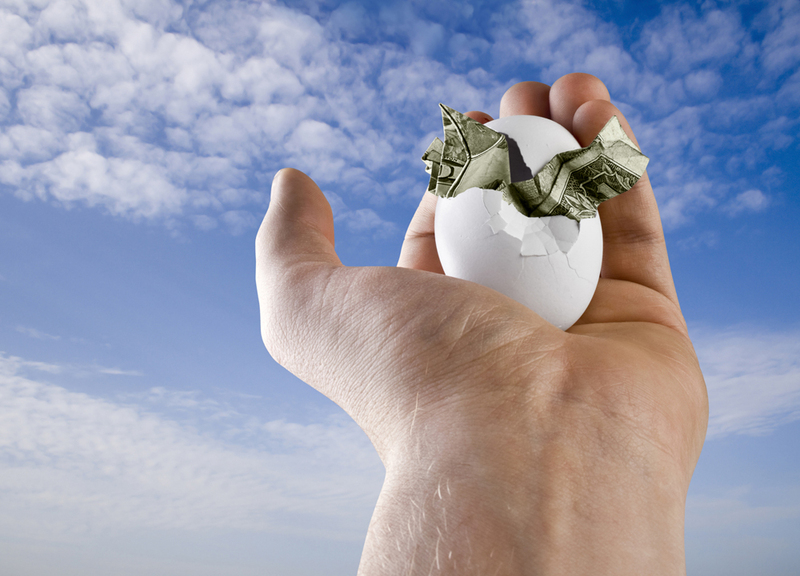 Withdraw no more than 4% annually from your nest egg. At first blush, this principle makes perfect sense for anyone planning on a long lifetime in retirement. In theory, if you withdraw 4% a year and earn more—say, 7% or 8%, as a hypothetical example—you should be able to sustain your nest egg throughout retirement as long as inflation remains relatively low. But there are no guarantees of what interest rate you will earn, and you might have to use more than 4% some years. Furthermore, during a sharp market downturn, taking out even the minimum 4% could put you in a deeper hole that could be hard to dig out of. Where do you stand? Although these four guidelines can be helpful, a better idea is to work out a comprehensive plan for your future. We would be glad to provide the retirement planning assistance you need.